I came across this very cool website which has puzzles, when solved reveal the hidden pixel art pictures. Conscious that millions of people are now watching TV shows online, marketers are likely for the first time this year to make digital-ad buys a key part of their “upfront” ad-purchase negotiations with TV networks, media buyers say. 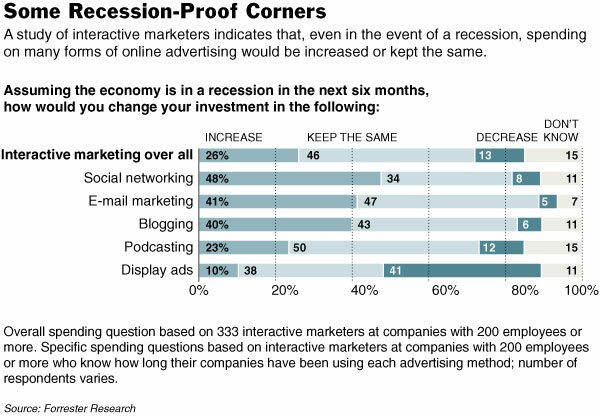 “The digital ads aren’t a throw-in after the main conversation is over. It’s now part of the main conversation,” says Alan Schanzer, managing partner at MEC Interaction North America, part of WPP Group’s media-buying and planning unit Mediaedge:cia. Major TV networks sell about 75% of their ad inventory for the coming fall season during the upfront. Digital ads historically haven’t made up a significant portion of these buys. But marketers say they increasingly are looking to purchase digital ads as part of a package with their standard TV commercials so that they can reach the audiences watching a show regardless of whether it is on TV or the Web. Web audiences have become sizable enough that they can’t be ignored. Grid-computing startup Aster Data Systems will officially launch today, three years after it was founded. Aster, which began in the Ph.D program at Standford, is a provider of “massively parallel processing databases” for organizations that have mammoth quantities of data that need to be stored and analyzed quickly. The Redwood City, California-based company is backed by Sequoia Capital, Cambrian Ventures, and First-Round Capital. Aster’s nCluster software allows companies with large amounts of data to store it on commodity hardware and scale with one-click, adding new servers as the data set grows. The company’s first major client is MySpace, which generates 100s of terabytes of traffic data from its 110 million monthly unique users. Mining that data to understand how customers use and interact with the site requires some pretty robust architecture. IBM said on Wednesday it has started selling software that lets customers access its Cognos business intelligence software via BlackBerry mobile devices. The device maker, Research in Motion is encouraging businesses to create software specifically for the BlackBerry so that it can boost usage beyond the e-mail, messaging, calendar and phone services for which it is best known. The Cognos program, which sells at a list price of $300 per user, allows customers to view real-time analytics on the state of their business on their BlackBerrys. The computing giant has also introduced programs that allow BlackBerry users to quickly locate and communicate with colleagues with expertise in specific business areas. A third new product from IBM allows users to access personalized content from their corporate websites via the BlackBerry, IBM said. Armonk, New York-based IBM acquired the business intelligence programs in January with its purchase of Canada’s Cognos for about $4.9 billion.